America’s Fiscal Constitution: Its Triumph and Collapse tells the remarkable story of federal leaders who imposed clear limits on the use of federal debt. For almost two centuries those limits allowed the federal government to borrow for only four purposes. That traditional fiscal constitution collapsed in 2001, when federal elected officials broke the traditional link between federal tax and spending policies. For the first time in history, the federal government cut taxes during war, funded permanent new programs entirely with debt, and became dependent on foreign creditors. 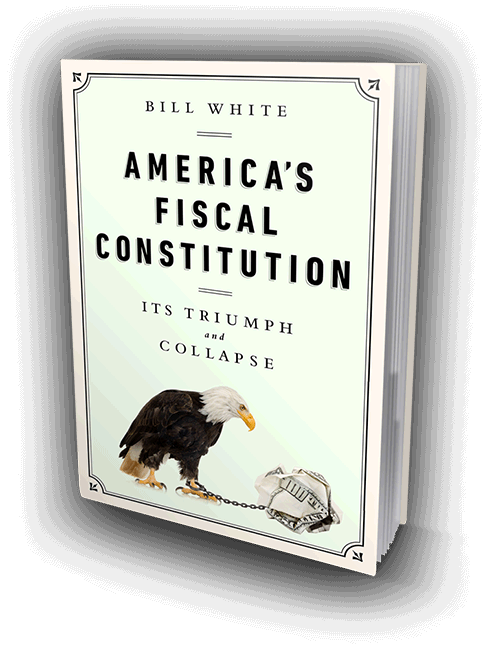 With insights gained from original scholarship and an unusual breadth of experience in finance and government, Bill White distills practical lessons from the nation’s five previous spikes in debt. America’s Fiscal Constitution is an entertaining and objective guide for people trying to make sense of the current and most dangerous debt crisis. This entry was posted in Books and tagged bill white, fiscal constitution. Bookmark the permalink.